Looking for the perfect, and of course delicious way to celebrate that next milestone in your life? Come to the shoppe to decorate cupcakes, make macarons, decorate a cake, or just reserve our head table to enjoy delicious treats with those closest to you. Everything is a la carte, and mix-and-match, so your celebration will be perfect for you! We love to teach, and we love to celebrate, email us to set up your event! Have a group you want to get together and enjoy some treats with? Reserve our head table on a first come first serve basis, and enjoy all the deliciousness together. We can make a custom cake or cupcakes, or just choose from what we have in the shoppe that day! Head table sits 6 comfortably, or more if you're willing to squeeze! We even have candles in case you need to add a little fire to your celebration! Call the shoppe or email us to reserve your spot. Do you love to decorate? Or have always wanted to learn? From 5 years old to 90 years old we will teach you to decorate cupcakes, or a cake, and then you'll bring home your creations to show off to your family! Max 8-10 people. We recommend 3-5 cupcakes or cookies per person, and each cupcake is $3.25 and cookies are $3.50 each. Staffing/Room rental fee: $125 per hour for after hours celebrations. $75/ hour during business hours. We recommend 1 hour for decorating. 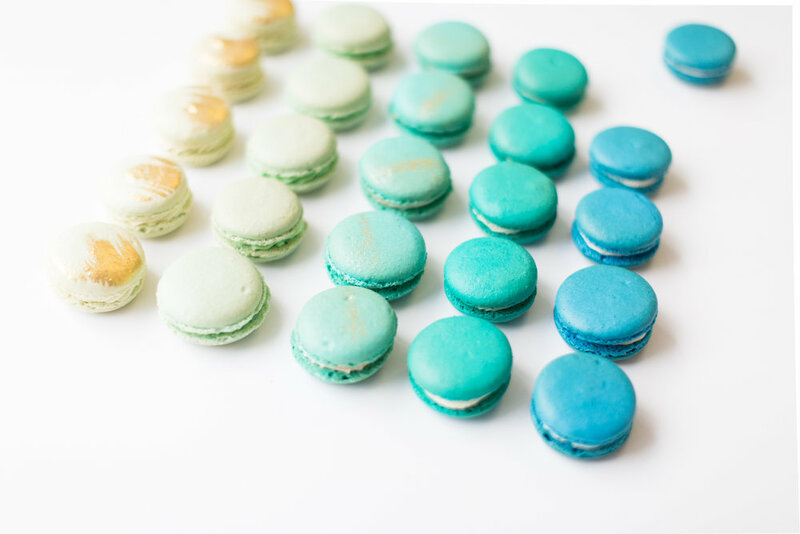 Every celebration should always include delicious treats, and what's more fun than getting together with the ones you love to make the ever amazing French macarons! You will learn start to finish how to make the shells, and fill them with our homemade jams, curds, caramel and more! Everyone will choose their own macaron shell flavor and color. Classes have a maximum of 6 people. There is a break time in the class where the macarons need to rest, bake, and cool, so feel free to bring snacks to eat!